The CDL Leadership Team provides oversight to the work of the Center for Distributed Learning under the authority of UCF's Division of Digital Learning. A popular speaker and facilitator, Dr. Kelvin Thompson regularly addresses groups throughout the US on topics related to online/blended learning and educational technology while he serves as the Executive Director of the University of Central Florida’s (UCF) Center for Distributed Learning (http://cdl.ucf.edu) with a faculty appointment as a graduate faculty scholar in UCF’s College of Education & Human Performance. Dr. Thompson has collaborated on the design of hundreds of online and blended courses over the past twenty years and is active in the online education community. Kelvin developed the BlendKit Course open courseware (http://bit.ly/blendkit) as part of UCF’s Blended Learning Toolkit, and he also co-hosts TOPcast: The Teaching Online Podcast available on iTunes and at http://topcast.online.ucf.edu. Thompson is active in the higher education professional development community and has held leadership roles within the work of EDUCAUSE and the Online Learning Consortium. His personal research interests center around how interaction affects learner engagement, and information on his Online Course Criticism qualitative evaluation model for facilitating the scholarship of teaching and learning in online and blended environments is available online (http://onlinecoursecriticism.com). Kelvin Thompson holds an EdD in curriculum and instruction and an MA in instructional systems technology from UCF and a Bachelor of Music Education degree from The Florida State University. Curriculum vitae is available online at http://bit.ly/kelvin_cv. Dr. Linda S. Futch is Interim Director, Instructional Design for CDL at UCF. Her duties cover oversight of all aspects of the instructional design process and the Instructional Design Team. Linda has been instrumental in guiding faculty development for online courses and developing systems to support faculty and students. She has developed curriculum and delivered instruction in business, high school, community college, and higher education. For her doctoral dissertation, Linda studied blended learning at a large metropolitan university and is currently studying the design of successful blended courses. As Associate Department Head at CDL, Francisca’s responsibilities encompass the areas of course and application development, instructional systems integrations, and R&D of emerging technologies to support online learning. She brings eighteen years of experience in instructional technology in higher education, military, and hospitality industry. Her research interests are immersive learning environments, game based learning, and emerging technologies for learning and innovation. Francisca holds a Ph.D. in curriculum and instruction and an M.A. in instructional systems and technology. She has facilitated the procurement of patents, trademarks, and service marks for instructional web applications. Francisca is an awardee of the Innovator award for the Inaugural Excellence in Research & Innovation Cohort by UCF Office of Research and Commercialization. Francisca and her talented team of software and web developers have received many recognitions including the WICHE Cooperative for Educational Technologies Outstanding Work award 2013, Davis Productivity Awards (2011, 2006, 2005) for their learning and business operations applications, and the Virtual Campus Tour Award October 2001. Wendy joined the Center for Distributed Learning in July 2011 with a diverse background in both corporate training and higher education. In addition to her Doctor of Education degree in Instructional Design & Technology from UCF, Wendy has also earned a BA in Mathematics and Secondary Education and an MA in Corporate Communication & Technology from Rollins College. Her current research is focused on faculty development, digital learning in STEM disciplines, collaborative online learning and internationalizing the curriculum through technology. She also provides a practitioner’s perspective based on over twenty years of experience in both design and instruction. As the program director of UCF’s iLab, Dr. Howard’s primary focus is to strategically align, promote, and provide project management support for initiatives that contribute to the lab’s mission to serve as an incubator for the next generation of digital learning by supporting faculty and staff in piloting, refining, and evaluating innovations that positively impact student success at scale. Dr. Beth Nettles leads the Instructional Development Team (iDev) and provides oversight for the CDL Graphics and Video@CDL teams at the Center for Distributed Learning (CDL). As a member of the Instructional Development team, she has created a number of professional development resources designed specifically for faculty teaching online courses including the Developing Learning Objectives and Copyright in Online Courses modules used in the ADL5000 and Teaching with Lecture Capture (TLC) courses. Dr. Nettles has also provided project management services for several university-wide initiatives such as UCF’s most recent learning management system migration (from Blackboard to Canvas), the Knights Online orientation to online learning, and the tactical implementation of UCF Online. Beth has over fifteen years of experience teaching programming, software applications, and web technologies in post-secondary education. 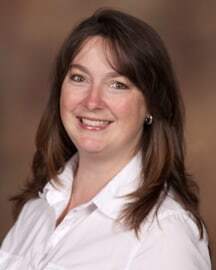 Beth Nettles holds a Ph.D. in Information Technology in Education from the University of Nevada, Reno; an MA in Instructional Technology and a BS in Business Administration from UCF.